Founded in March 2007, Hocmai is Vietnam’s leading education portal, with free and premium lessons, study guides, information on universities and admission exams and much more. The site has attracted nearly 400,000 subscribers. Content is created by leading teachers from Hanoi Amsterdam, one of Vietnam’s most well known and prestigious high schools, who provide e-learning materials and online video lectures covering all major subjects. Hocmai also provides exam simulation services, group study, education consulting, and e-book publishing. The company operates the leading education news portal, Tintuc.hocmai.vn and the biggest online education forum, Diendan.hocmai.vn. 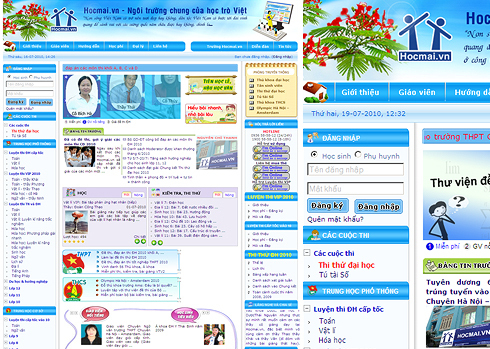 In 2010, Hocmai established an offline cram school, the first professional school of its type in Vietnam.